Do you need a taxi from The Hague to Rotterdam Airport? Taxi Service The Hague offers taxi rides from The Hague to Rotterdam Airport and vice versa. At Taxi Service The Hague you get a private taxi, so there is enough space for you and your belongings. All our cars are equipped with navigation, air conditioning, electric windows and the necessary safety objects. We guarantee a safe, quick and comfortable ride. Do you want to know for sure you will arrive on time? 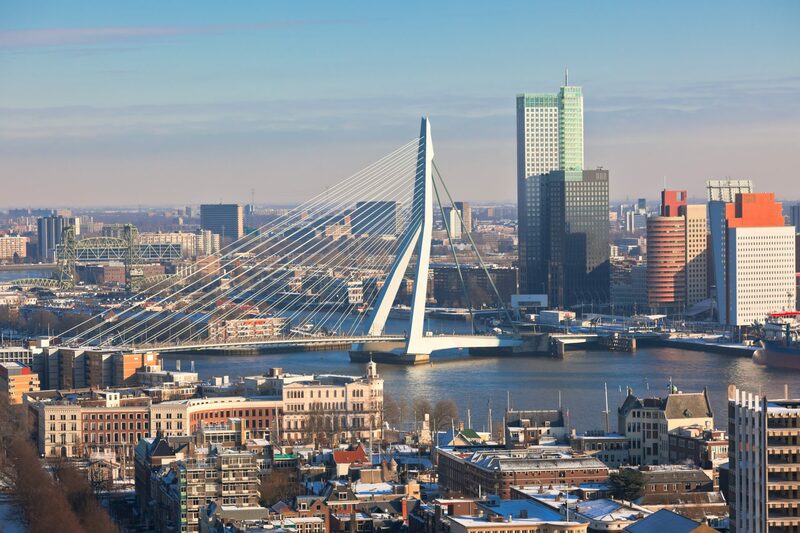 Our online booking system makes it very easy to book a taxi to Rotterdam Airport. In just a few clicks it is done! You can even choose to pay directly to the driver afterwards. Why Taxi Service The Hague? Taxi Service The Hague offers very competitive rates and the best possible service. You will be brought to your destination safely, fast and comfortably by one of our experienced drivers. We can also provide a pick up from wherever you want. By choosing Taxi Service The Hague, you choose for a lot of benefits. We are ready for you 24 hours a day and 7 days a week. Our drivers are available 24/7 to bring you to your destination. You can order a taxi in just a few clicks, whenever you want, through our online booking system. Are you looking for a good and affordable taxi to bring you to an airport? We can bring you to the airport at very competitive rates. At Taxi Service The Hague we transport our customers as safely and quickly as possible. We are ready for you 24 hours a day, 7 days a week. Next to The Hague we also drive in Rijswijk, Leidschendam, Wassenaar en Voorschoten.